Five Clark University undergraduates recently joined a fight against a common enemy of tree lovers in Worcester and beyond: the Asian long-horned beetle. Imported to the United States via infested wood pallets from China and Korea in the 1980s, the invasive pest was discovered to have killed trees in New York City in 1996 and then spread throughout New England and the Great Lakes region. If established, the beetle could kill 30 percent of urban hardwood trees nationwide at a cost of $669 billion, according to a study by the U.S. Forest Service. 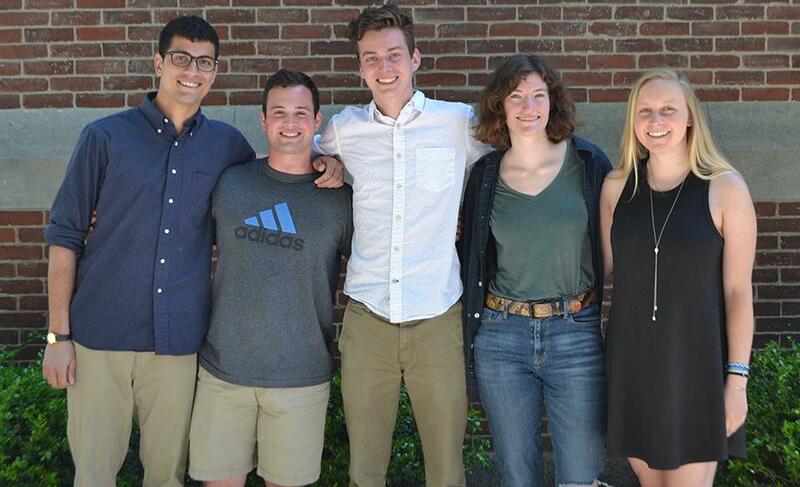 As part of Clark’s 17th annual HERO (Human-Environment Regional Observatory) program, the students ‒ environmental science majors Tyler Anderson ’18, Savannah Sanford ’17 and Eli Simonson ’17 and geography majors Emma Freud ’17 and Rishi Singh ’17 ‒ are collecting data this summer on a sampling of 30,000 trees replanted by the Worcester Tree Initiative (WTI) to replace those destroyed by the Asian long-horned beetle. The students also will interview residents who received replacement trees and examine another possible threat to the trees: leaks from old gas pipelines. 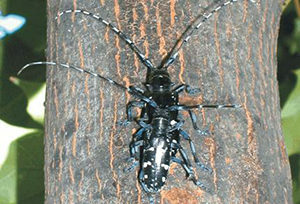 The Asian longhorned beetle (ALB) was first discovered to have invaded the city’s trees in 2008, and Worcester is home to the largest ALB infestation in North America, according to the U.S. Department of Agriculture (USDA). To contain the infestation, nearly 35,000 trees have been cut down. The quarantine area ‒ where the infestation is constantly monitored ‒ now extends into neighboring towns. The ALB prefers maples and other hardwoods and has no known natural predators, said Professor Deborah Martin, who oversees the HERO program with Associate Professor John Rogan in the Graduate School of Geography. They welcomed students at a recent kickoff for the eight-week summer data collection phase of the yearlong HERO program. This year marks a milestone for the HERO program, which is welcoming the 100th and 101st students to conduct research that gains insight into the interaction between humans and the environment. For the last several years, Clark’s HERO program has been devoted to research that assesses the impact of the ALB invasion, partnering with the WTI, state Department of Conservation and Recreation and the USDA. This year, HERO Fellows will examine the factors – like gas leaks, tree species and weather, such as the record-breaking snowy winter of 2014-15 – that might contribute to a higher mortality rate for replacement trees. This is the third year Clark HERO Fellows have gathered data on Worcester’s replacement trees. This year, students will expand their data gathering to focus also on trees planted on public property next to city streets. “Street trees experience some of the worst conditions,” including road salt, automobile and pedestrian traffic and compact growing conditions, Rogan explained. The students began their research last week, and they will end this phase of their research fellowships with a final presentation of their results on July 14. Two doctoral students in geography – Arthur Elmes and Zhiwen Zhu – are assisting the undergraduates. During the school year, the HERO Fellows will analyze data, present to stakeholders, participate in a weekly HERO seminar, write research papers and attend the New England Geography Conference. The HERO program receives support from Clark’s George Perkins Marsh Institute.